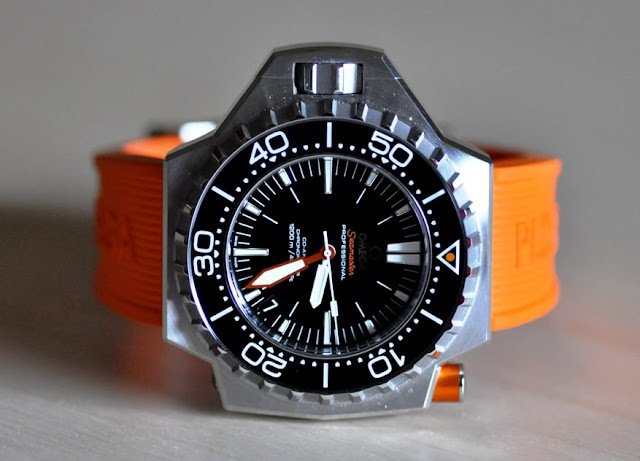 Bernard Cheong Doctor Watches Life: Hmm..BUY the OMEGA ploprof, it is a classic, like a Porsche 911. $12,000 or less. Hmm..BUY the OMEGA ploprof, it is a classic, like a Porsche 911. $12,000 or less. will explain why, tmrw morning..meanwhile google it. Ask me why...and for value alone...this is what I bought too. I love it, and wear it. EVEN when I have watches 20x the price. A nice piece, to be sure, but I far prefer (and own) the 1960s vintage original. Thoughts? Gary, I own 2 originals. But the steel back then had differing carbon and alloy treatment. you will find the old ones...aged.